In late 2016, my old Dell PC decided to suddenly die on my in the middle of a project. I rushed out and totally unlike myself, I bought a cheap Lenovo PC. The Lenovo Ideacentre 300S 11ISH. It came with INTEL I5-6400 processor, 4GB DDR4 RAM which I upgraded to 8GB, 1TB SATA HDD (Not enough I know, but I have a huge backup storage), Intel HD GRAPHICS, Windows 10 HOME SL OS. As compared to my old Dell PC, the PC had many disadvantages - only two RAM slot and so limited my ability to upgrade the memory and also only one monitor port. Of course, I could always buy new bigger RAM and use a VGA splitter cable but why should I have to go to all the trouble. On the bright side, the profile is quite small as compared to my old huge Dell PC. To be fair, it was the best value for money based on the specs as compared to the Acer and HP PCs. It was not the fastest PC but it got my work done and was even able to run some of the memory heavy statistical software. Middle of last year, the power button started to give me problems. In order to turn the pC, I would need to push the power button on the top right a couple of times before it would decide to start. After doing a bit of research on the net, I realised that this was a common issue with Lenovo PC. Maybe part of a planned planned obsolescence where their PCs start breaking down after a year or two. Eventually I ended breaking the button and I would need to use a pencil to press the tiny button inside. I realised that the external button was used to press the internal button but the contact had got worn out over time. I totally forgot that I had bought 1 year Lenovo On-site Warranty. Just realised it yesterday and that was money wasted. Yesterday, my son took a screwdriver and pushed it inside the hole and broke the button. Now I cannot start the PC. Did a search on the net and I could not find a replacement - not even on the Lenovo support site. Today I went to the Digital Mall in Petaling Jaya, near my house to get a replacement cable. There are hundreds of shops selling all kind of electronic stuff and I thought I would be able to find the replacement cable. I thought wrong. None of the shops could help me. A repair shop could not even find the cable online as well and they are professionals. I was even willing to get any compatible cable as I do not mind sticking it outside the PC case with superglue but No! The Lenovo shop from where I had bought the PC was not helpful at all - though one guy did pull up my information in their database and gave me the name of the PC model. One guy advised me to go to Imbi plaza in KL. 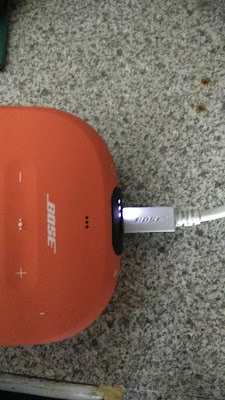 Really frustrating - why is it so hard to buy a simple power button cable. Guest post by Adrina Awaludin. Thermomix is what the future of cooking looks like. If you can imagine how a smart phone has changed our lives in the past 10 years... that’s what Thermomix is. 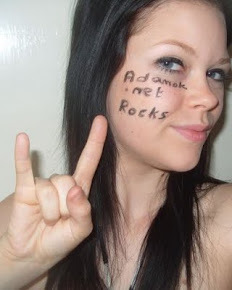 My name is Adrina Awaludin. I am a Thermomix Advisor. I was introduced to this wonderful machine in 2014. I have a full-time job, 3 growing up children, a busy working husband. I didn’t cook. I have a lived in maid to assist me at home with cooking and cleaning. Since I was introduced to Thermomix, I not only cook but I bake my own bread and cookies. I even make my own jams and mayonnaise, as well as chicken, meat and vegetable stocks... and people ask me why I bother when it is readily available at the grocery? Well, those items in the shops have a shelf-life, which means that chemicals are added to ensure that they can last longer on the shelves. The other reason why I make them is because it is so easy and convenient now. One gadget in your kitchen to replace 12 functions! So, imagine going on holiday with just your smart phone without having to bring your camera, video recorder, and laptop as we would have probably done over 10 years ago. Well, this gadget replaces all your other standalone kitchen appliances that does your chopping, grinding, kneading, whisking, controlled heating, steaming, stirring, cooking, weighing, blending, mixing and emulsifying and also replaces your saucepan. What else can you expect from a German product with probably the best technology in the market? There are no other similar products in the world today, I believe, that can match its superiority and functions. And when we say it’s the future of cooking.... there’s a reason for it. 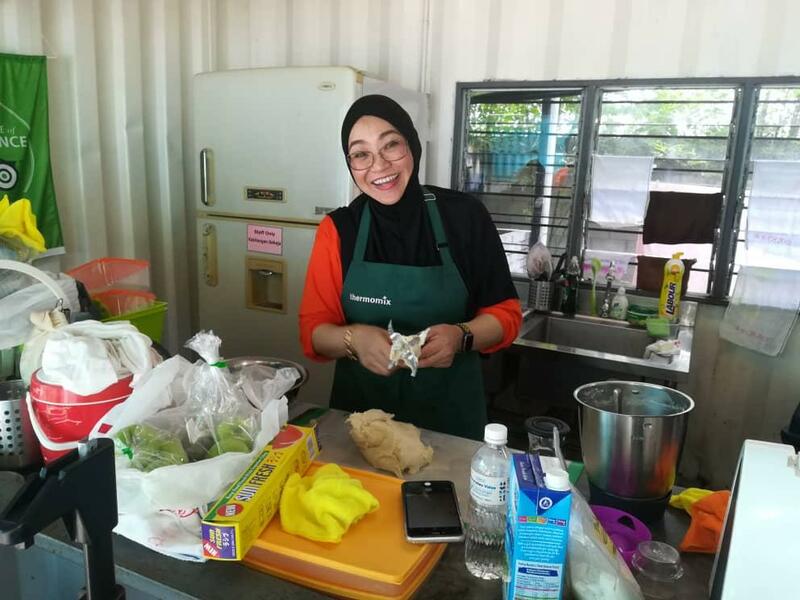 It considers all the expectations we want from our food - home-cooking is healthier and safer (no added preservatives and unknown contents), faster meals as one can manage entire meals under an hour with time-saving multi-layer cooking. It is also your Reliable Cooking Assistant - no need to take a day off. This “German maid” helps with auto cooking, stirring and even self-washing. Thermomix keeps your kitchen grease-free, taking over the cooking to free you up to do other things. It is hassle-free to cook at home. 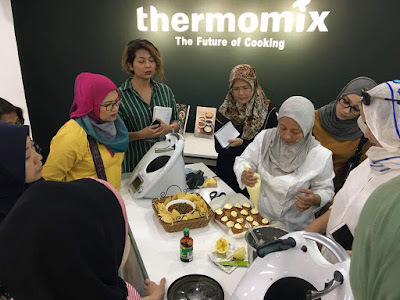 Other than its superior safety features, it also has a Recipe chip attached to it for step-by-step guided cooking instruction.... Now, this I don’t think you will understand just by reading this article, so that is a real good reason for a person to experience the Thermomix Cooking first hand. With thousands of recipes and the guided cooking feature, enjoy endless fun cooking with your loves ones together. 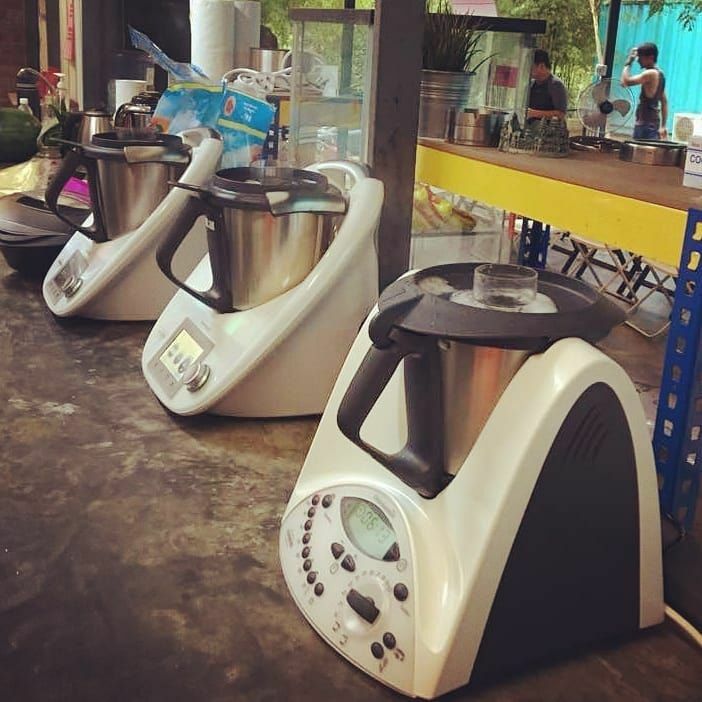 And on the question "who would want a Thermomix?". Well the answer - literally anyone who can manage a smartphone. And why not, did you check the Master Chef Jr contestants cooking with their Thermomix? A 7 year old who can read, would be able to cook with the Thermomix. Imagine those people who are on special diets: gluten free, paleo, vegan, etc. Home cooked food, managed and monitored easily from ingredients to the process. In our group, we have cancer survivors, including those who are still undergoing chemo and other treatments, those who need special diets and Thermomix helps these people everyday. Actually, anyone would love this gadget and how it can save them time and money. 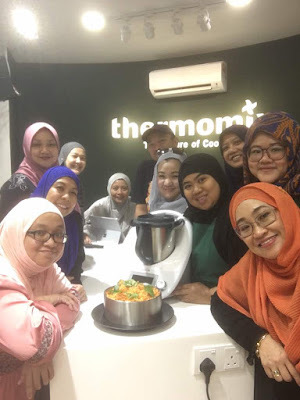 All it takes, is a Thermomix cooking experience. Contact me at 019 235 8733 to fix a date. 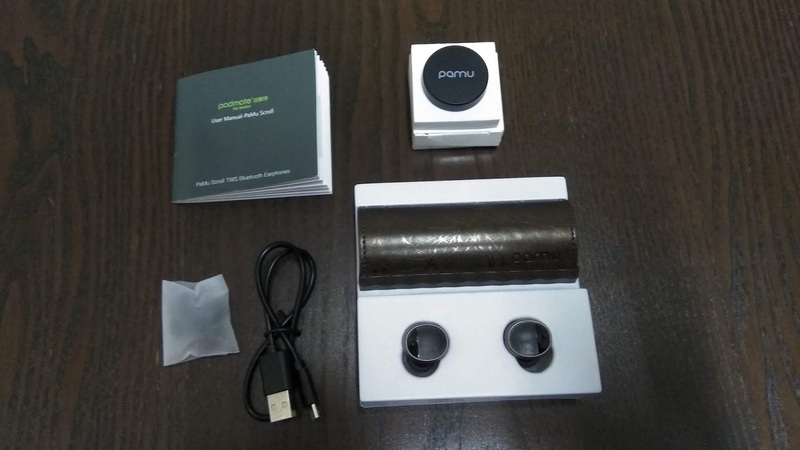 Recently I had the opportunity to review the new PaMu Scroll wireless earphones which recently . This is the second generation bluetooth earphones from Xiamen Padmate Technology following on the footsteps of their successful Waterproof Wireless Earbuds. The new earphones has already secured more than $600,043 on Indegogo when I last checked - 3000% more than their target of $20,000. 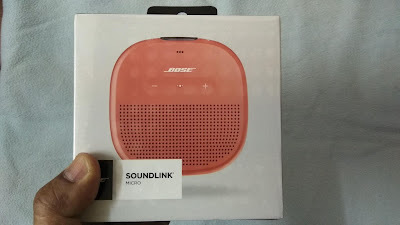 I was quite impressed with the design and quality of the box considering that it was a review sample. Most of the time, I often receive these samples wrapped in brown boxes and bubble wrap without a box and sometimes without even any instruction booklet. In the box were the earphones, the really nice scroll design leather charging/ carry case with magnetic clasp, a wireless charging receiver, a USB cable and as I mentioned before, a user manual. 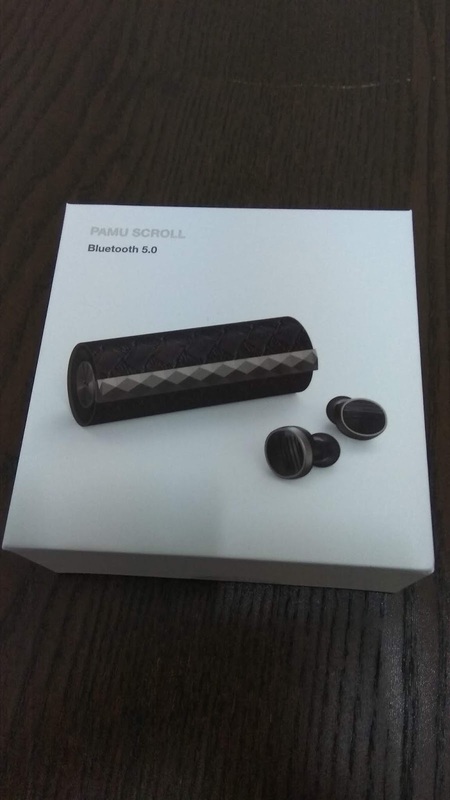 There are so many bluetooth earphones in the market and you might be wondering what makes the PaMu Scroll different from the competition. Well, it has several features which makes it stand out from the crowd. 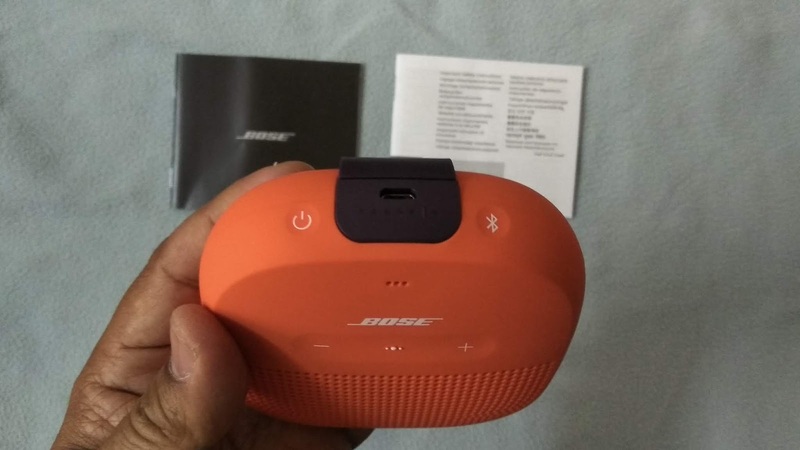 First of all, it is Bluetooth 5.0 with auto pairing, and as mentioned before, with wireless charging, which you can use with a standard Qi wireless charge pad to charge. Easy pairing - blue lights on the phones indicate that they are paired with your mobile device. My son loving the earphones. He has got them on wrong - the led lights should be on the top with the mic down but it does not really affect the performance in any way. Well, you might argue that these features are now common in so many others as well. 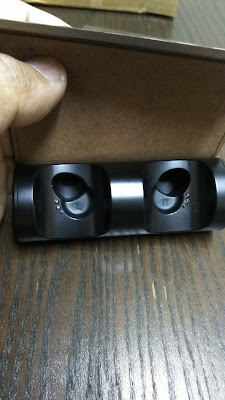 Well, other special features include call audio in both ears, as opposed to only one in most bluetooth earphones, touch control and my favourite - it is water resistant (IPX6). Which means that you do not have to worry if you get caught in the rain with the earphones on. 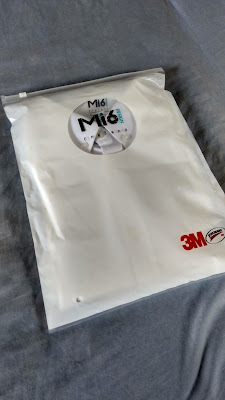 I am a bit sceptical about claims manufacturers make and this was one of the first things I tested - to see if the earphones were indeed water resistant. So I put it under my shower for about a minute - put it in my ear and it works. 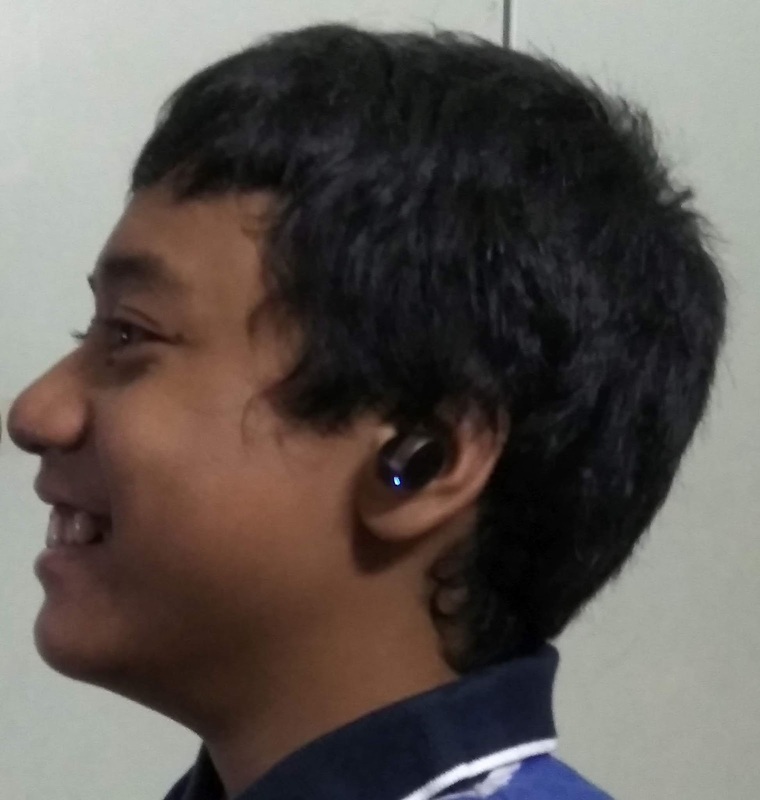 Also most bluetooth earphones will have an extended arm with the mic near your mouth and I was a bit concerned about the quality of communication. I was pleasantly surprised when I found that the person on the other line could hear me perfectly. Their manual reminds you to wear the earphones with the mic downwards but I did not make any difference in the performance or sound quality if the mics are up as well. 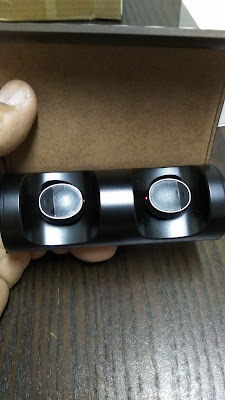 The review earphones came charged and again as I wanted to test out the claims that had a playtime of 3.5 hours. I was quite surprised that the playtime actually lasted slightly more than 3.5 hours on a full charge. Not as much as the 5 hours on the Apple Airpods but much better than other bluetooth earphones in the market. However, all these features mean nothing if the sound quality is not good, and again I was pleasantly surprised as it was in fact amazing. The bass was really good without any distortion, even when playing Led Zepplin's Kashmir. I am not too found of my bluetooth earphones because they are quite heavy and uncomfortable and only on one ear. I only put them on when I need to take a call while driving and I often forget to bring them along. However, the PaMu scroll is really comfortable and fits perfectly in my ear. 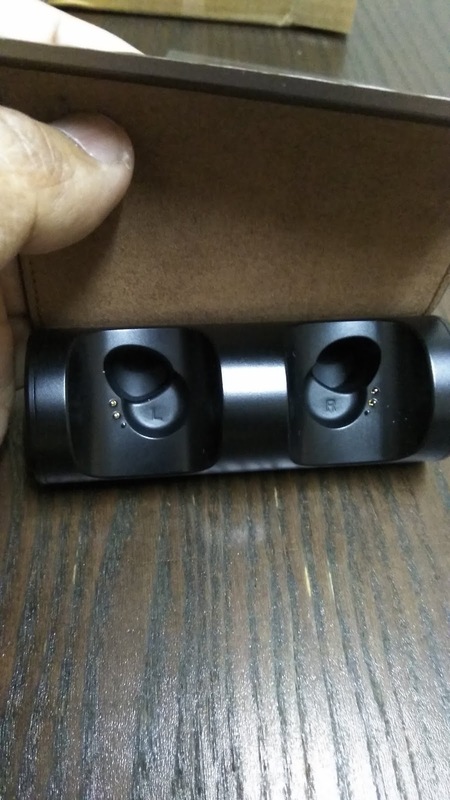 It is quite light as well at just 5gms, 1.5gms lighter than the PaMu 0.1 earbuds. 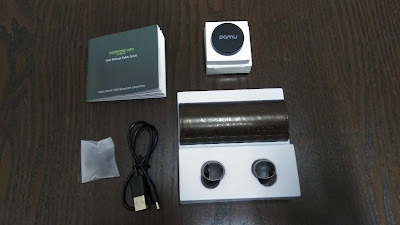 About the touch control, which is again one of the unique features of the Pamu Scroll each phone has specific controls. The user manual mentions 'Click' and I was expecting a button but actually all you have to do is tap. While listening to music, you just tap it once to play or pause (on either ear) and tap twice to go forward to the next track (on left ear). To answer calls, you tap once and tap twice to reject a call (on both ear). Also double tap to activate Siri or Google assistant (on Android phones). Had to practise a bit to get used to the tapping controls. Another thing that sets the phones apart is of course the fantastic looking leather scroll charging/ carry case (and hence I guess the name) which can be a great conversation starter. I have had so many people admiring the case more than the earphones. They have four colours/ designs, namely, Rock 'n' Roll, Graphene, Glory Edition and Sakura (Pink) and I received the Rock 'n' Roll, design which has a dark brown shade. I think they got it wrong on their box as it says Graphene. 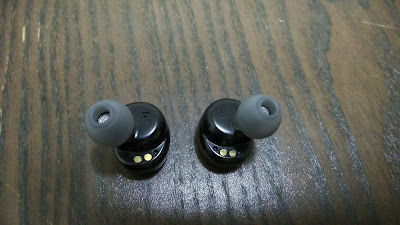 After using the earphones for about two weeks now, I would definitely recommend these earphones - they look great, are comfortable with fantastic sound quality and several unique features as highlighted above. Just bought the SoundLink Micro Bluetooth® speaker. 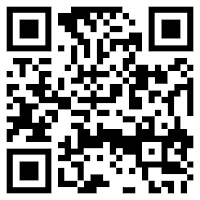 We were looking for something light and portable and also waterproof and tough. My son loves to experiment with speakers and for that matter with other gadgets as well. His favourite is to put them inside a bucket of water and that's how my old JBL speakers died. 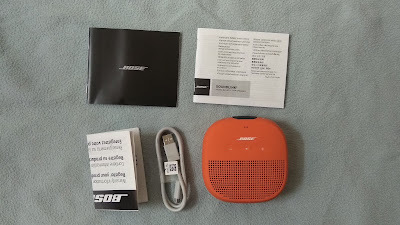 The new Bose speakers ticks all the boxes and the sound is amazing. This was not really surprising - it is a Bose. My only complaint is the cable. When I first tried it out, it would not go in fully into the speakers and I was worried about force it in. I played around with the springs and the speaker end of the cable and after a bit of force, it finally went it. No problems after that. 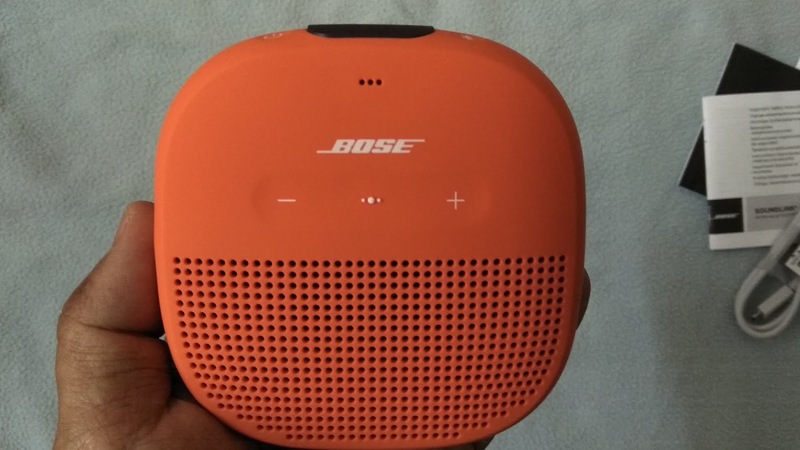 The speakers lasts up to 6 hours on a full charge. 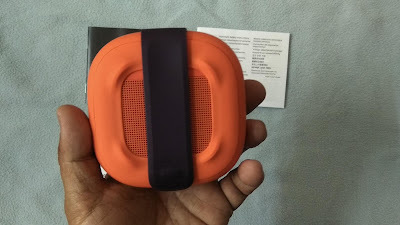 It also comes with a really handy flexible rubber band that allows you to attach the speaker to your belt, bag, etc. Recently received an offer to review a shirt which sounded almost too good to be true. I was sceptical but I agreed to test it out anyway. 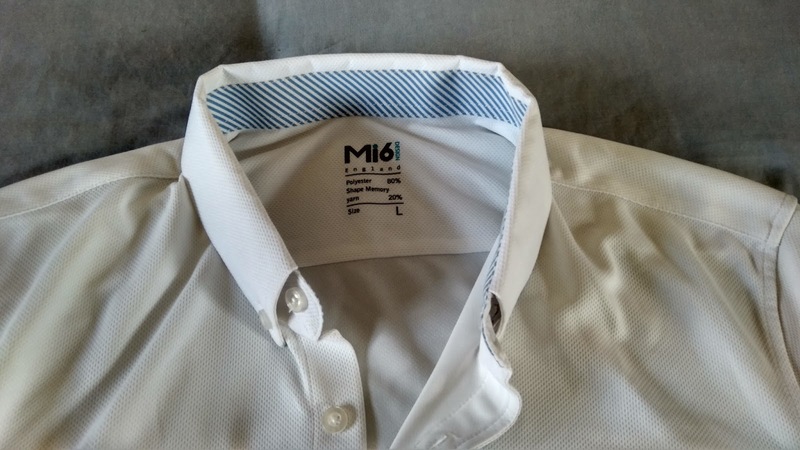 It is a shirt which the inventors claim to be stain resistant, fast drying, wrinkle free, stretchable, breathable and comfortable as well. I know! That's why I said it sounded too good to be true. In fact, it is the shirt I have been waiting for all this time. Anyway, the shirt arrived quite fast. 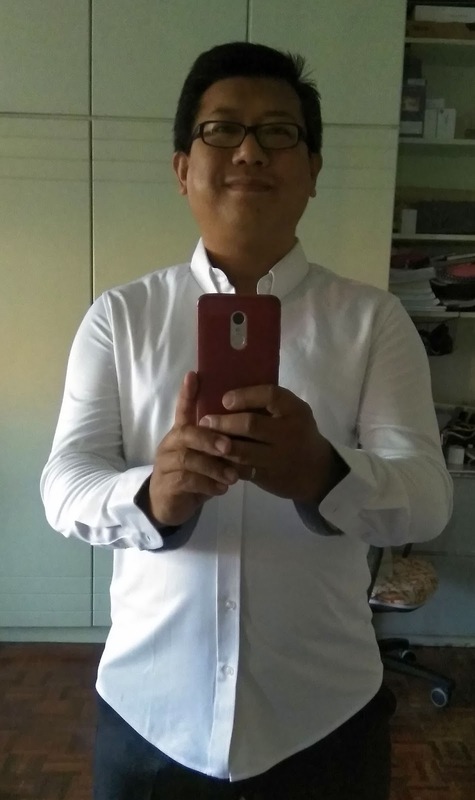 Based on my dimensions, I received the size L shirt. 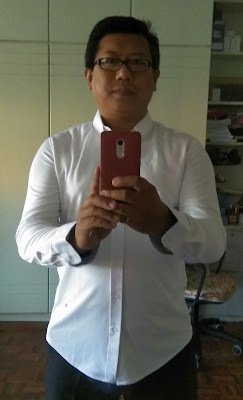 It was comfortable and quite light and yes, wearing it straight from the box, there were no wrinkles. Anyway, this button down shirt looks like any casual shirt but that is where the similarity ends - I have worn it twice to work and the shirt is still wrinkle free because of the fabric's ‘memory yarn’ - which apparently took the founders Andy Lai and Jeff Yang, more than a year of research to perfect and weave into a shirt that doesn’t wrinkle, is water and stain resistant and is also breathable. The idea was inspired by the Lotus leaf, the nanoteach fabric mimics the hydrophobic structure of the lotus leaf, where the outside surface repeals water but the inner layer wicks away the sweat. 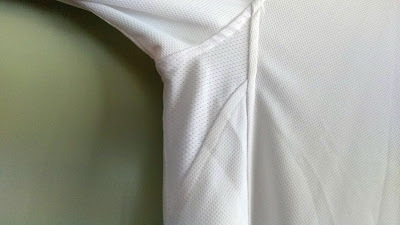 The fabric is a blend of 80% polyester and 20% ‘memory yarn’ featuring nanotechnology. 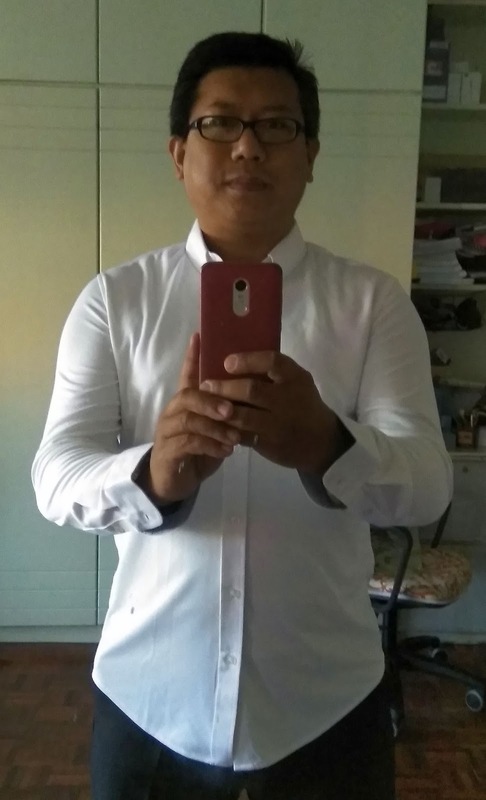 The shirt also features what they call a 'Flying Fish' breathable underarm netting, which is really ideal for the hot and humid Malaysian weather. However, I have to warn you - it is water resistant and not water-proof. I tried going under the shower and though most of the water bounced off, water did go in. It was also effective against hot tea spills (a big Thumbs Up!) but I did not try other drinks like coke or black coffee. I also wonder whether the water resistance will hold up after it has been washed. The water resistance of my Levis commuter jeans went off once I washed it. I will tell you the results later. Anyway, the shirt is now on Kickstarter and they have already reached their target with 55 days to go. Go and get this amazing shirt on their Kickstarter page for a special price of USD59 (HK$463).